AirSign can tow your banners over Miami Gardens. 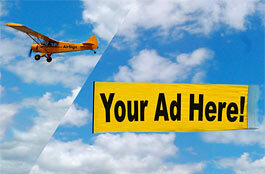 Fill the skies with your aerial advertising message over Miami Gardens. Aerial advertising is uniquely used as a great way to get your message seen by many people for a relatively low price. Almost every day there are public events going on that draw crowds. We can show you exactly when and where the next big event in Miami Gardens will be and how to best advertise there. We look forward to getting your message in the air. We are extremely competitive and will get you the best price possible for your next Miami Gardens aerial advertising campaign! Crowds are an aerial advertiser’s paradise! Have us fly your aerial banner over the crowds in Miami Gardens to put your message wherever you want, whenever you wish at the best value in mass marketing! I recently used AirSign for an airplane banner and digital night sign for the Mavs. The AirSign team was great to work with, and not only were the results terrific, but we had a blast and it really engaged our fan base.